This workbook s an interactive resource that helps caregivers develop a personalized action plan to take better care of their loved ones and themselves. It includes worksheets on important issues such as making your home safe, preparing for a health care appointment, keeping a health journal, and dealing with financial planning. 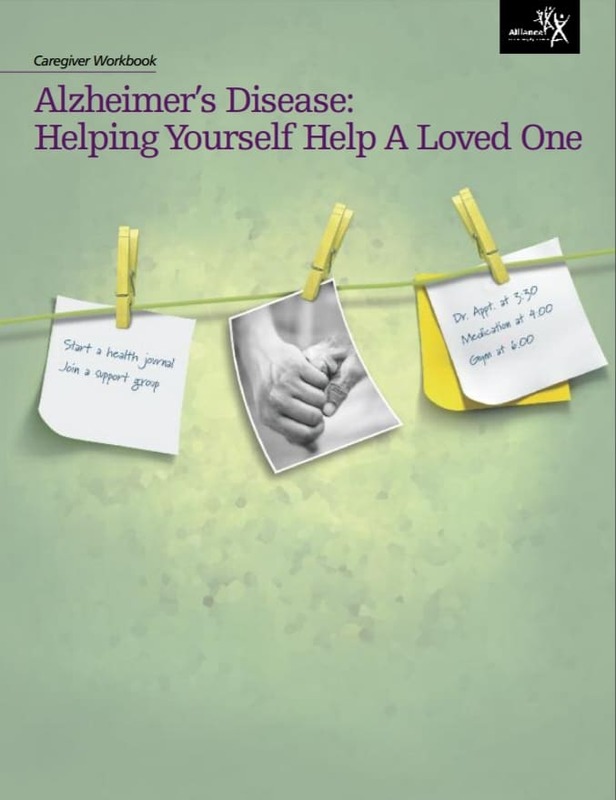 The worksheets are useful tools for getting organized and keeping track of a lot of the information that comes with caring for someone with Alzheimer’s disease.